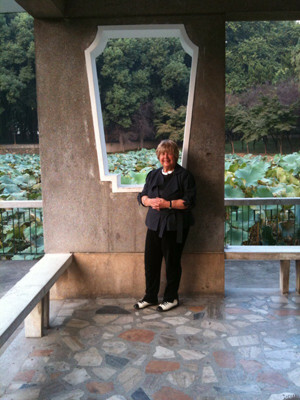 Marjorie Perloff in the Lotus Garden at Huanghzhou University, Wuhan, September 2011. As the University of Chicago Press approached its publication date for Unoriginal Genius, it asked me to write a promotional comment for the book’s back cover. Thrilling prospect! To write in the same spirit that the author had writ about the unoriginal spirits and writs she had written about. And I would have to write under the constraint of that most tedious and inconsequent of textual forms: the book blurb. I burned with the hard gemlike flame of the moth for that star of unoriginal genius. Mixed allusions, like mixed metaphors and unoriginal ideas, are often what one wants: what oft was thought but not exactly so expressed. The task: to tell the truth, the whole truth, and nothing but the truth about Marjorie Perloff. And “in 150 words.” (And with yet another rule, as it seemed to me — the understanding that her case in this case would be what Swinburne said was his case: “knowing as you do the date and sequence of my published books you know every event of my life” that matters). That would be 150 words to the letter (check it out in your laptop editor). I think the press never noticed. As strictly obedient and truthful as I had been, however — after all, I was raised Roman Catholic — my blurb was rejected. Perhaps even despised and rejected. But perhaps too, as Christina Rossetti once wrote, there is “A Better Resurrection.” My blurb of brackish truth is back from the dead, like Poe’s Ligeia — “gia la sera sorella” of Augusto de Campos’s Lygia, the dressed-down Beatrician type that is one of the subjects of Perloff’s loving attentions. The organizing center of interest is imaginative writing’s most pervasive discourse form of the past one hundred years — the Array, which Perloff tracks in its many transformations from Benjamin’s Arcades through various types of Concretism, Conceptual, and Procedural Writing, including the translational poetries of Caroline Bergvall and Yoko Tawada. The book pivots on extended readings of two fundamental works of two great American masters of the past forty years: Charles Bernstein’s Shadowtime and Susan Howe’s Midnight. Unoriginal Genius works itself up, with a mischievous calculation equal to all Perloff’s loved unoriginals, to a tour do force reading of Kenny Goldsmith’s notoriously tour de force and “unreadable” works — in particular to an extended and (for this native New Yorker) knowing reading of Traffic. One hundred fifty pages (is that a magic number?) underpin her final dazzling display of aesthetic wit and critical taste. Nobody does it better, this sort of thing, and few have ever done it so well. Clearly this is a game anybody can play. As Frank O’Hara, one of Perloff’s early angels, thought: you have to go on your nerve. Or write deliberately. “Be thou, Spirit fierce, / My spirit! Be thou me, impetuous one!” Let’s follow a Shelley Rule. Poetics that’s just making matters worse. Their cool hopes swarm like worms around us day by day. That would be — I think of Stevens — the worms at our poetical heaven’s gates; the “wormy circumstance” of Keats’s Isabella; Poe’s “Conqueror Worm” (the signifier, of course, not the signified). So there’s the game, played according to rule, and even — if you think about it — with what Poe called an “under-current, however indefinite, of meaning” for Perloff’s unoriginal geniuses. But in this game there must be nothing “ideal,” since “it is the rendering […] the upper instead of the under current of the theme which turns into prose […] the so called poetry of the so called transcendentalists” (“The Philosophy of Composition”). But then we are left with an important — an ethical and a political — question: Why play such games? Why write them, why rewrite them? (Emerson, we want to remember — eminent Transcendentalist — called Poe “the jingle man”). The great (original?) 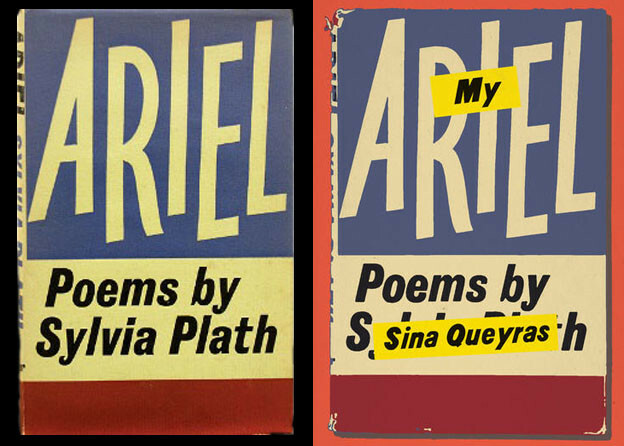 unoriginals — Poe, Carroll, Lautréamont, Swinburne — might usefully be consulted. See my “Some Forms of Critical Discourse,” Critical Inquiry 2 (March 1985): 399–417.